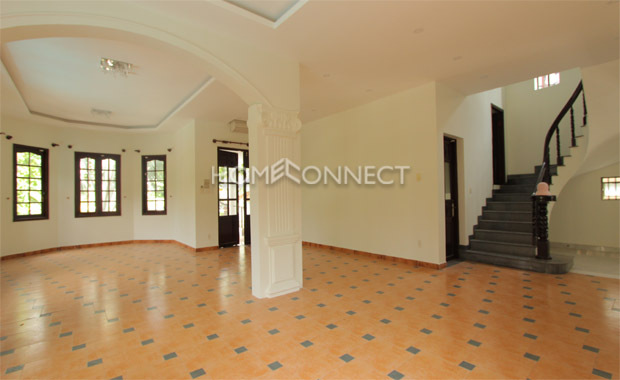 This 4-bedroom villa in compound available for lease offers comfort and ease in its total area of 600 square meters. 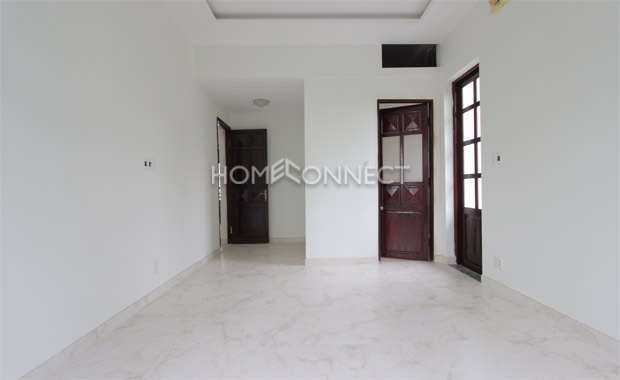 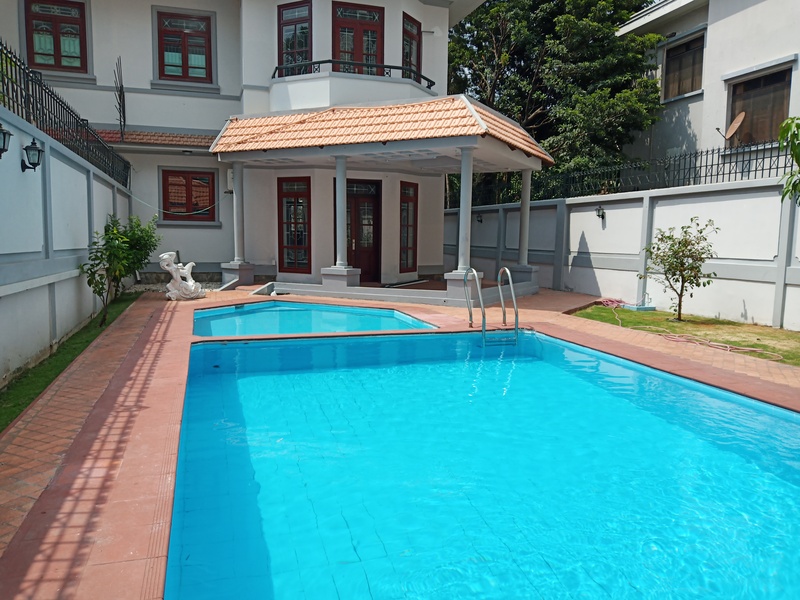 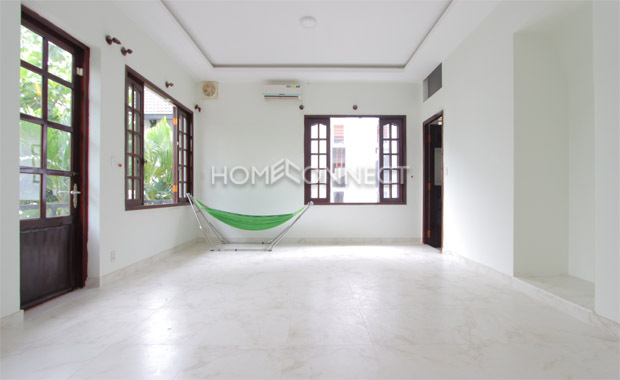 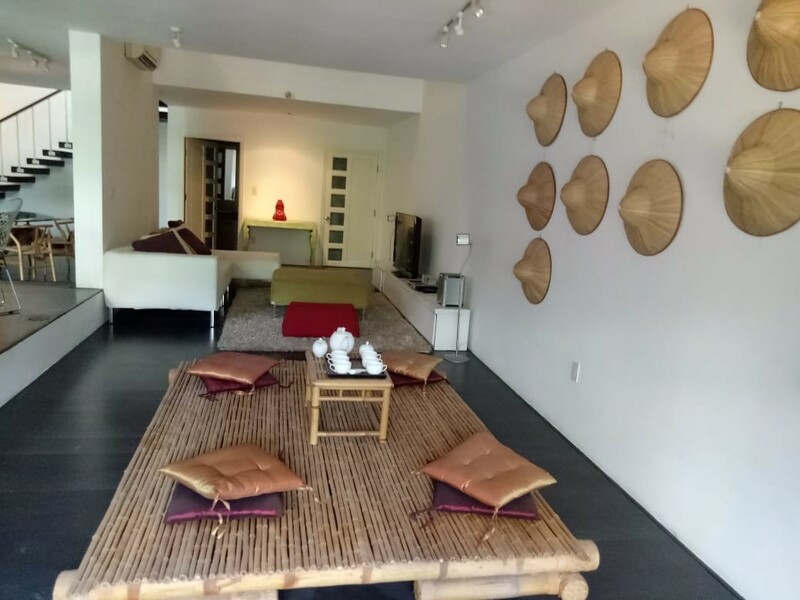 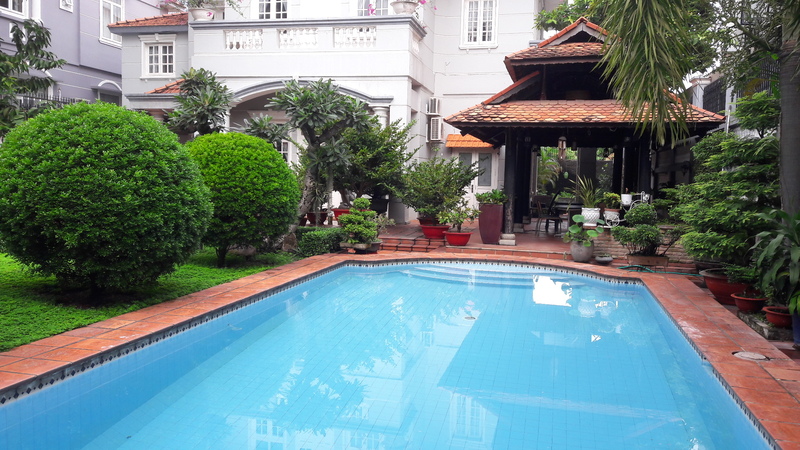 Situated in the heart of the Thao Dien area, this three-storey home is covered in quality marble and ceramic tile flooring on the inside with a private swimming pool and garden area surrounding the property. 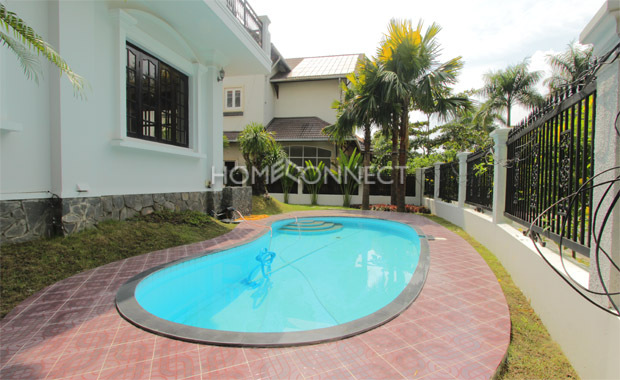 Family friendly and available on freehold term, this partially furnished villa holds four bedrooms and four bathrooms featuring large glass windows, wooden cabinets, storage fixtures and air conditioning systems. 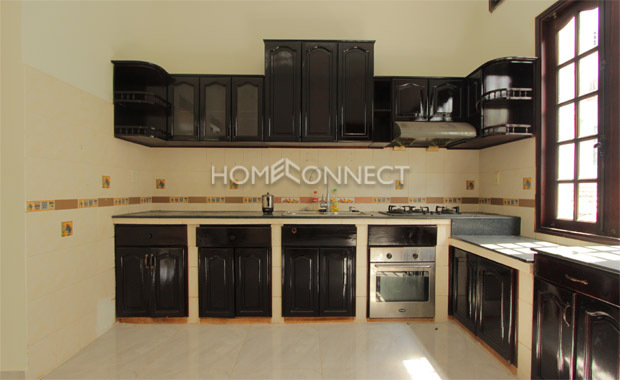 The kitchen is fully equipped with countertops, drawers, cupboards, dual sink, stove, hood, and refrigerator. 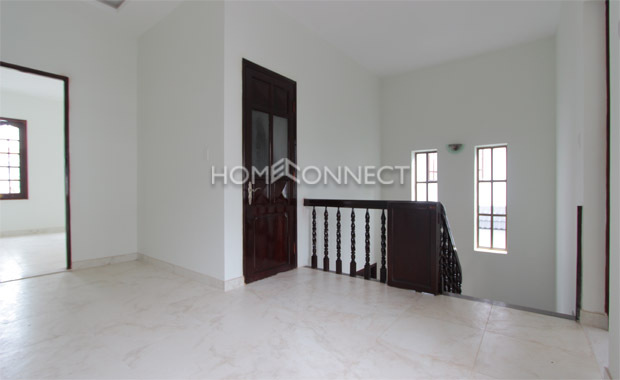 A staircase leads to the upper floors where the bedrooms are located with built-in closets, shelves, beds and side tables. 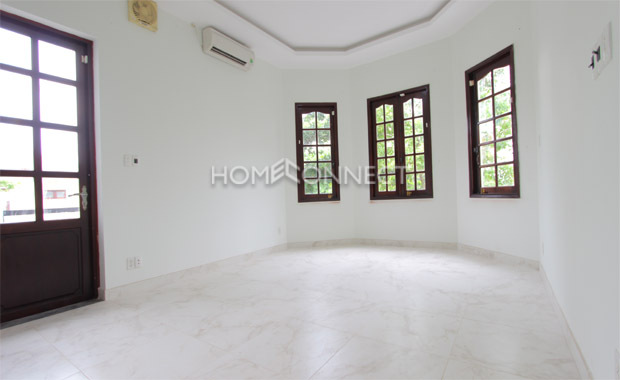 The en suite bathrooms are decked in white ceramic tiles, sinks, and showers. 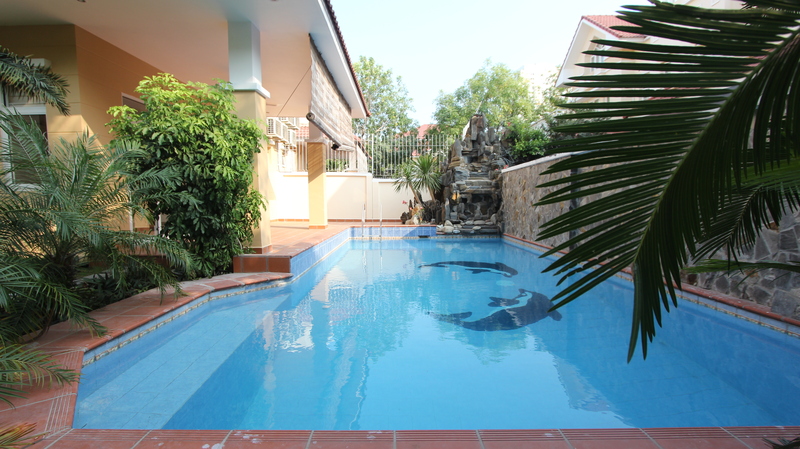 Facilities include private swimming pool and parking, terrace and laundry room.